Looking for work in Canada can be challenging for everyone. All job seekers need to know their strengths. If English is not your first language, you may think you face some barriers to finding a job but if you focus on your strengths and talents, you will see more possibilities. Below you will find resources to help you become more confident in your talents and strengths. 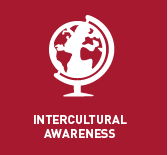 This is a fun online professional writing and intercultural communication course. You will improve your resume and cover letter while learning how to communicate in today's multicultural workplace; a skill employers look for today. • The course is designed knowing you are busy. • It can take 1-2 hours per week and is open for 4 weeks. • You will receive professional feedback on your resume and cover letter and have the chance to engage in activities that are relevant in today's diverse workforce. • You will receive expert feedback on your writing. • Cost: $20; non-refundable after course start date. • Click here more information on the course! These are some messages that our International Co-op students recorded in their native languages and wished to share with everyone thinking about doing Co-op.